(LA Times) -- As the massive search for a fugitive ex-cop suspected of three slayings continued Saturday, Los Angeles Police Chief Charlie Beck announced that he was reopening the investigation into the firing of Christopher Jordan Dorner from the police department, the event that apparently sparked his vengeful campaign. Beck said he was reopening the investigation "not to appease a murderer" but to assure the public that his department is fair and transparent. He said he wanted to protect an "increasingly positive relationship with the community" that the LAPD has developed over the last few years. "I am aware of the ghosts of the LAPD's past and one of my biggest concerns is that they will be resurrected by Dorner's allegations of racism within the department," Beck said in a prepared statement. "...Therefore, I feel we need to also publicly address Dorner's allegations regarding his termination of employment." 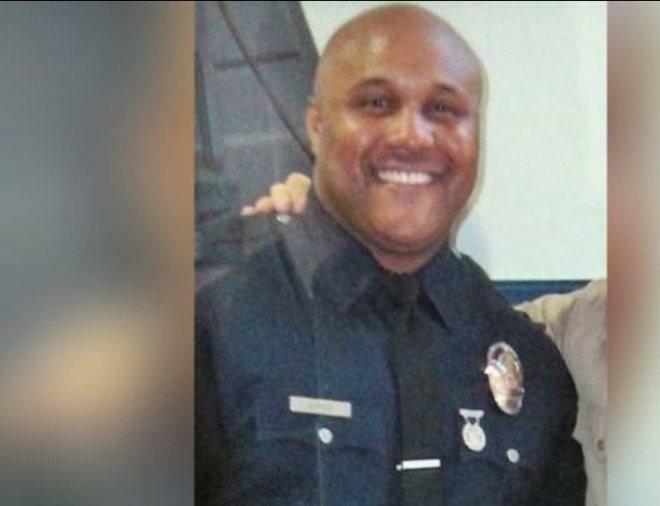 Dorner was stripped of his badge in 2009 after a police disciplinary board found him guilty of making false statements against his training officer, Teresa Evans. In August 2007, Dorner accused Evans of kicking a mentally ill man during an arrest in San Pedro. The internal affairs investigation concluded that Evans had not kicked the man and that Dorner was lying. Police said Dorner has killed three people, including a Riverside police officer, and injured two others over the past week in a campaign to take revenge on those he blamed for his dismissal from the LAPD. At a news conference Saturday, LAPD Cmdr. Andrew Smith announced that a special joint task force was being formed to investigate the Dorner case. Participating agencies include the Irvine and Riverside police departments, the FBI, the U.S. marshal's office and other law enforcement organizations. Dorner remained a fugitive Saturday despite an interstate manhunt that included SWAT teams, armored-personnel carriers and helicopters with heat-detecting cameras. In their third day of searching for the 33-year-old Navy veteran, authorities kept their focus on the mountains around Big Bear Lake in San Bernardino County.